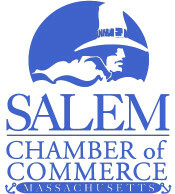 Join the Salem Chamber of Commerce at WorkBar for a Coffee Connection networking event. Come see their 6,500 square foot state-of-the-art Salem workspace which features Workbar’s trademark “neighborhood” layout, private offices and modern conference rooms. Coffee Connection networking events are a great way to meet new contacts and reconnect with old ones in a relaxed setting. As always, Coffee Connections are free for member businesses and $20 for non-members. To RSVP please email info@salem-chamber.org or call 978-744-0004.